This client wanted to make a functional lock and key set with flowers and gears. 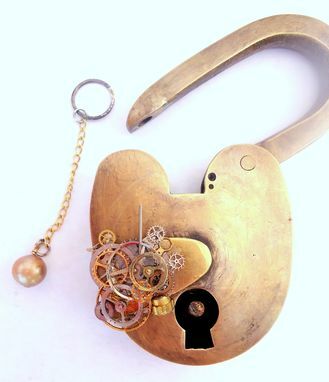 He wanted the key to be a necklace and the lock to have a pearl which could only be removed by using the key to open the lock. 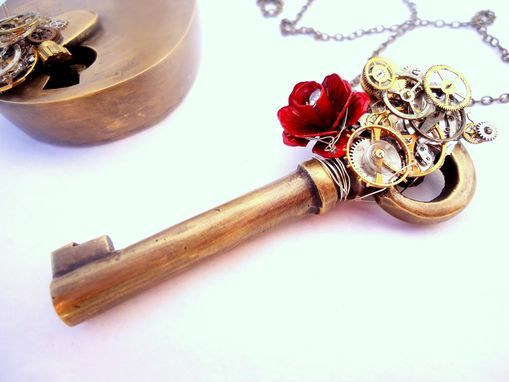 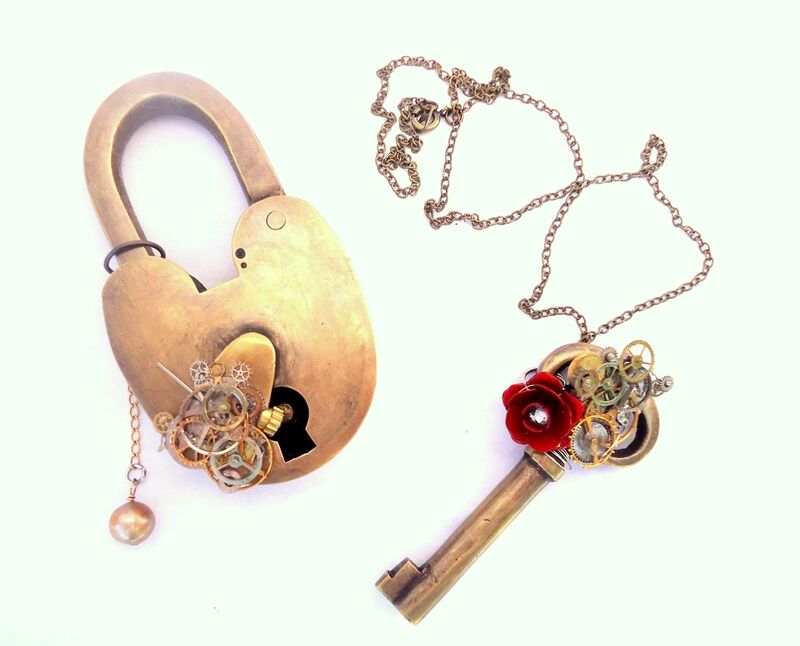 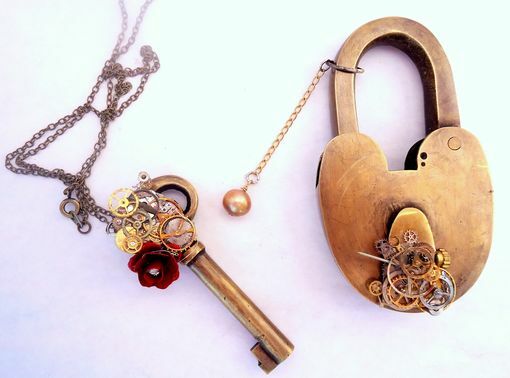 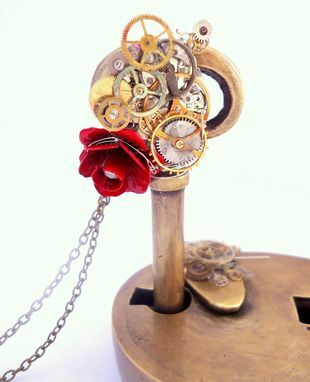 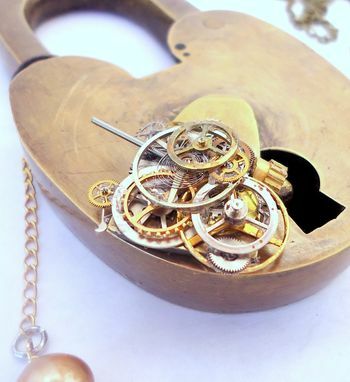 I used a brass lock and key set and embellished it with real watch parts, a metal flower, and a natural beige pearl.